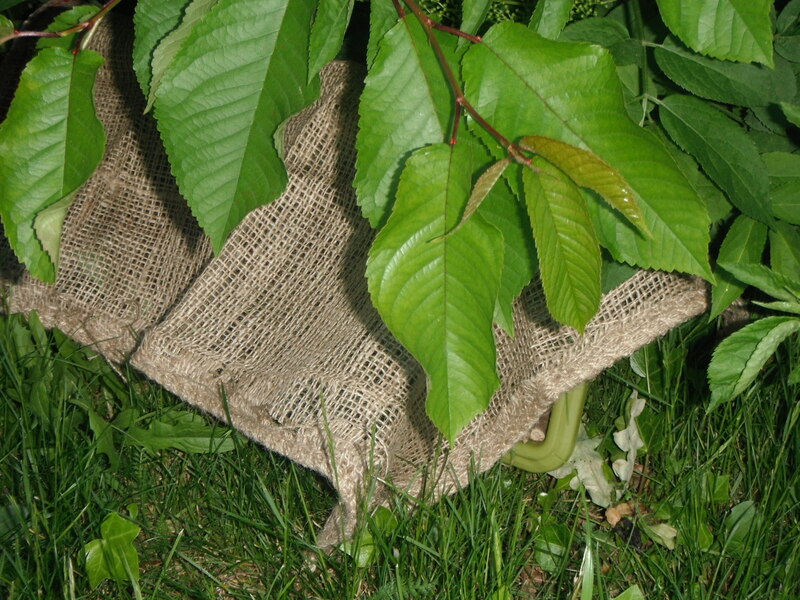 Give the Brownies some sticks, bamboo, string, planter and general natural materials and leave them to it! I love these laid back evenings where the girls do their own thing in their Sixes. 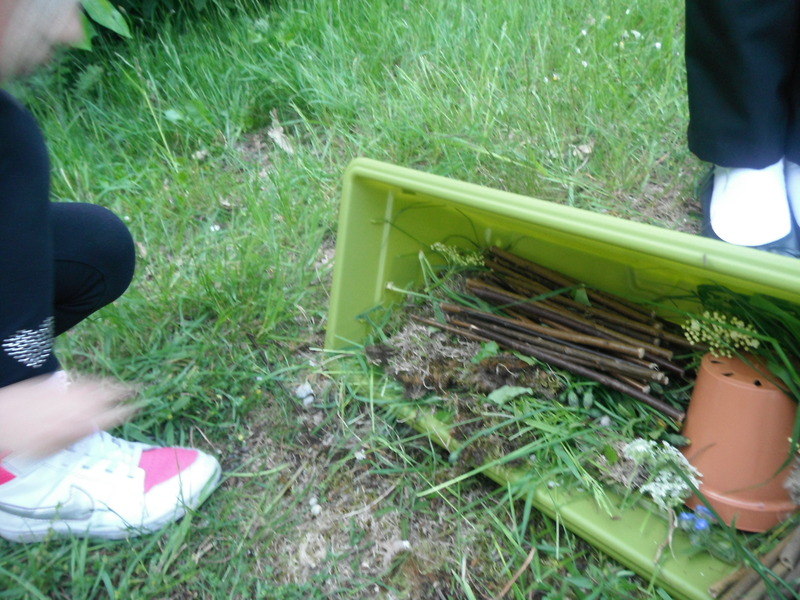 For the Big Brownie Birthday Challenge the girls chose to make insect homes to look after local wildlife. Pound shops were great for collecting useful items such as bamboo and plant pots. The long planters I bought from Wilko for £2.50 each. As groups finished the session turned into an impromptu mini beast hunting session. The planter are already home to families of ladybirds and snails. The Sixes then found space to tuck their homes away over the next two weeks. 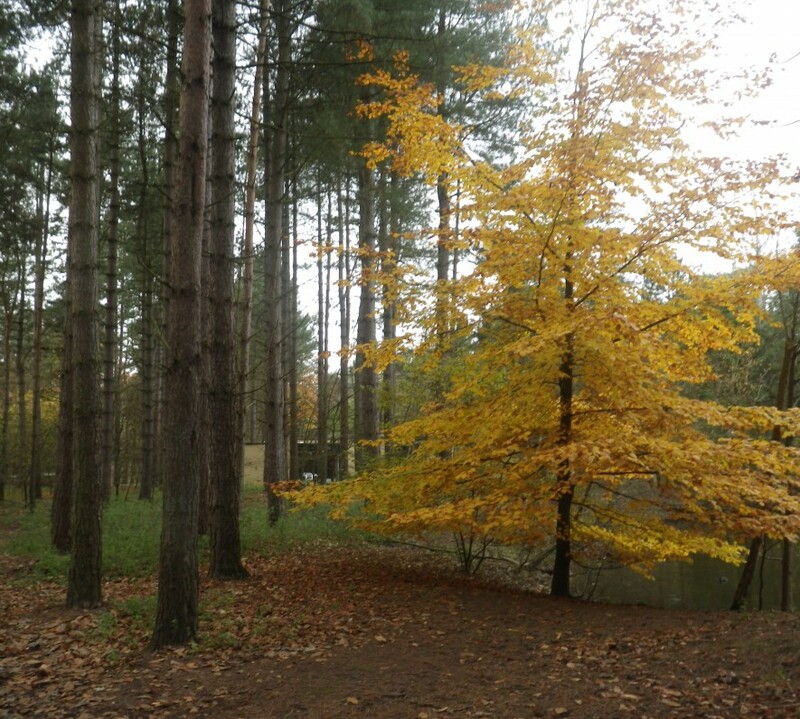 After half term we will head outside again to see what may be living there! This may be a scandalous post. Telling the truth on how much of your life Girlguiding can take. Hopefully those joining as volunteers to Girlguiding will have a lot of support and a team to share the workload. At the moment I don’t have a lot of this (or I just take on too much). At the weekend there were a few comments about, well my ability as a leader. With all the time I dedicate to the girls I don’t think it should really be questioned. Thursday – Brownies. Before I work I must be up early to print the letters and the starter activity. During work, whenever I can spare my mind, my thoughts go to what I need to say during the evening. The event itself, straight from work we run the meeting. We did career charades, discussing Big Brownie Birthday Challenge activities and deciding our Six Code of Conduct. After the meeting I then try to find any spare uniform we have for the Brownie getting enrolled next week. Clear up the meeting. Head home for something to eat. Friday – After work pack my day backpack, make a packed lunch, check the route to the campsite. Saturday – Up at 6am, meet at 8:30am, arrive at campsite 9:30am, full day of activities including running a wide game activity, cheering on the girls, running to the car in the rain to collect a waterproof, encouraging the girls to sing at the campfire, all bundling back into the cars at 9:30pm and home at 10:30pm. Sunday – Up early for Church Parade. Welcome new girls to their first service and explain a few things that happen. Select a couple girls to help take service collection. Spend 5 minutes explaining it to a younger girl who then turns it down. Finding a Guide to do it instead. Talking to our three Brownies who have moved onto Guides to explain what they need to do and say in the flying up ceremony after Church. Finding 3 girls in uniform to parade the flag. Explaining the only one capable of carrying the flag where to go and what to do. Reminding the girls to wait for a Brownie who walks a lot slower. Getting up during the parade hymns to assist a Brownie getting up and down the steps. Helping the new girls find the hymns in the books and reminding to stand up straight. Taking the Brownies over for the flying up ceremony and saying goodbye to a few old friends. 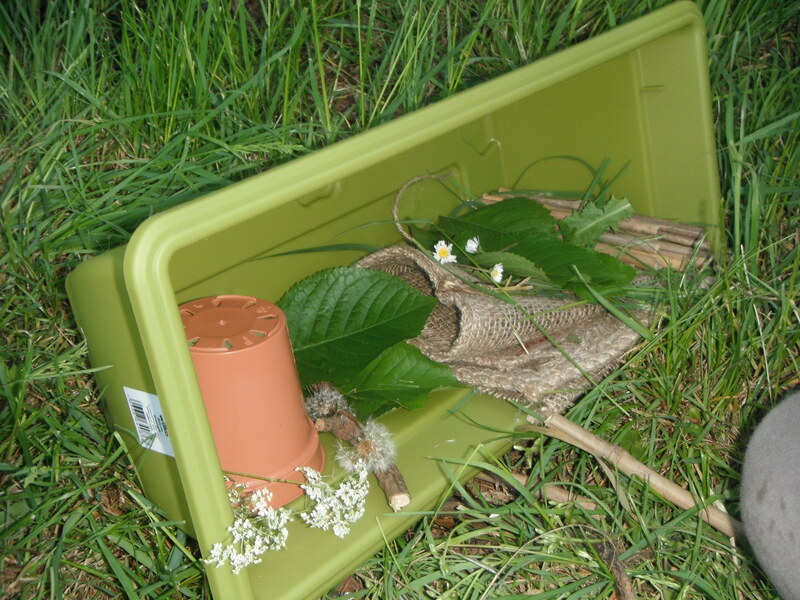 Going to Poundland and Wilko to buy bamboo, twig fences and planters for the girls’ insect houses next week. Monday – Before work cutting up the twig fence to be used in the insect house. Checking out waiting list / waiting to transfer list to put the girls in order of when they will join. Replying to new enquiries. Writing a letter to be sent to a new parent who hasn’t replied. Tuesday – Replying to local paper about what we are doing for Big Brownie Birthday. Driving to a Brownie house to drop off uniform for next week. Cutting up bamboo for insect houses. Researching the cost of Alice bands and pipe cleaners for district event. Researching the costs, times and facilities at two planned activities for Summer day trip. Write Brownie letter for Thursday. Wednesday – I still need to call the two places for the day trip to provisionally book. And head to the bank to pay in some subs cheques. Wednesday should be my day off, however I’ve been asked to do some overtime as there is an urgent job to be completed. I’m going in a little late to give me time to complete these errands but there was plenty more I could’ve done with the day. As you can see my week has been pretty busy with Brownie related items. (And these are just the things I remember). Therefore when I am then asked in front of parents if I know what I’m doing you can see why I may get offended. Some things may slip our minds, but our fellow leaders should be there to support one another rather than this strange one-upmanship that can occur. After all this work I don’t see why parents should be left with the impression I am not capable. That is just unfair. I hope this post doesn’t put people off joining as volunteers. Being a leader, you can put in as little or as much effort as you like. I didn’t need to offer the uniform to the new girl, or drop it at her house, but I wanted to help. Some units don’t even offer day trips. Or perhaps there is a parent who would offer to organise this for you. You don’t need to offer to assist other groups with their day trips either. Or even run challenge badges like the Big Brownie Birthday that require some organising. I enjoy what I do, sometimes it can overwhelm but it is still my hobby. I do as much as I can (this doesn’t even go into the website I made for my unit, again another hobby of mine) because I enjoy it. And I’m pretty sure I am capable too. Excluding the district event I went to as a 11 year old, yesterday was my first Guide day out. While emailing the Guide leader, Jackie, about offering her unit as an alternative for our Brownies I offered to help out with any day trips as I new she was short on leaders and I couldn’t offer to help out on the evening her group meets. She was just in the process of booking a day out so took me up on it! 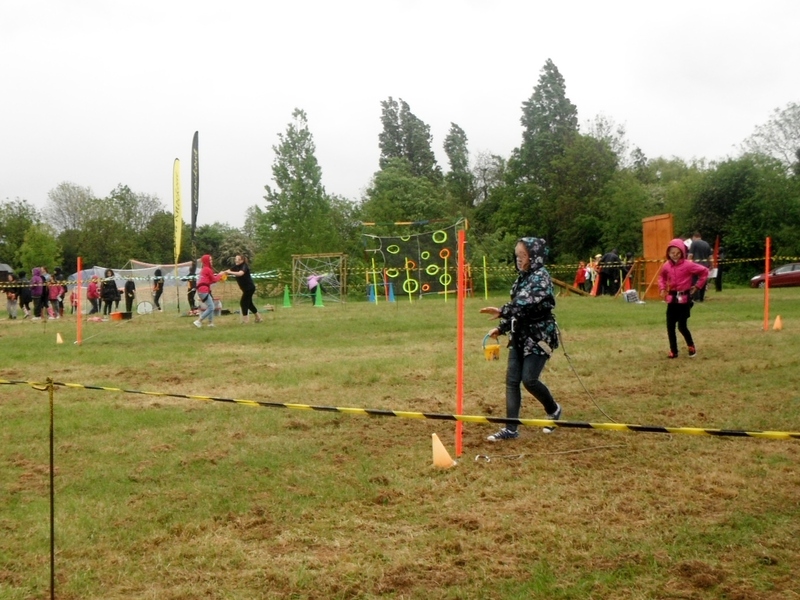 It was a day of activities run by our county which included ‘It’s A Knockout’ run by Southend Gang Show. For many units this was a one night camp, but without a leader with the camp qualification we had the day trip option. This mixture of events caused for some of the frustrating parts of the day, I’ll come back to this later. The Guides were great. We were only a small group in the end. The eleven girls who signed up went down to 9 after their last meeting (with swimming galas as excuses) and then one was too ill to attend on the day. We had 8 girls going with 1 leaving early. (And by the evening campfire one girl got ill and went home early too, leaving us with 6!). When I started as a Brownie leader I watched the Guides meet after us and shuddered. How could anyone put up with this age group? I hated being that age, I hated being around other girls that age when I was a kid. I never saw myself taking this on. But 5 years later, many little Brownies moving up to Guides and 3 wonderful Brownie Helpers I have had a change of heart. And this activity day secured that thought. I must admit this was a young group of Guides, all 10-11 with one 12 year old. But, as you would expect from Guides, they were just older Brownies! The day was made up of a wide game, It’s A Knockout competition, barbeque and campfire. The day also included 3-4 hours worth of free time. Perfect for Guides putting up their tents, perfect for day trippers to run around in the sun, not so perfect for a day of showers. The changeable weather led to us travelling back and forth from the cars multiple times to change willies, coats, purses, and full outfits. For two and a half hours were had plenty of girls come through, some found it difficult, some made lovely braids, some wore theirs all day and some gave them as gifts. It was a nice activity but maybe too advanced to take into Brownies. We chilled for a while at lunch, then headed to the shop as one of our girls would leave too early to go in the next break. As a leader copy of the event badge was not in sight at the time I went ahead and bought two. One for the campsite (an alternative colour to a previous badge) and a ‘Campfire Songs’ badge. 2.30pm we headed to ‘It’s A Knockout’. 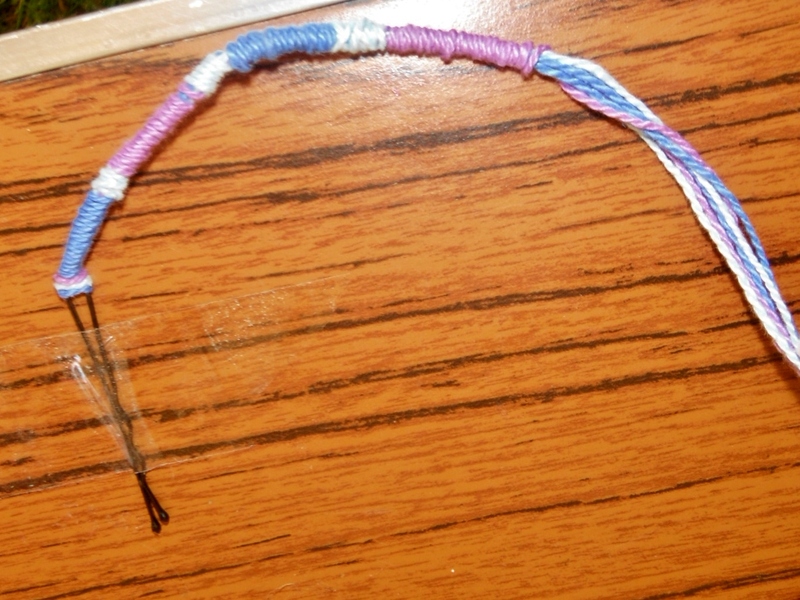 The Guides coloured wristbands correlated to a team. Our were split off into two different teams so we shared our support for the two. The idea was great. Teams working around different active games to earn points, between games a dance song (i.e. YMCA, Gangnam Style, Grease) was played for the teams to perform to to gain more points. 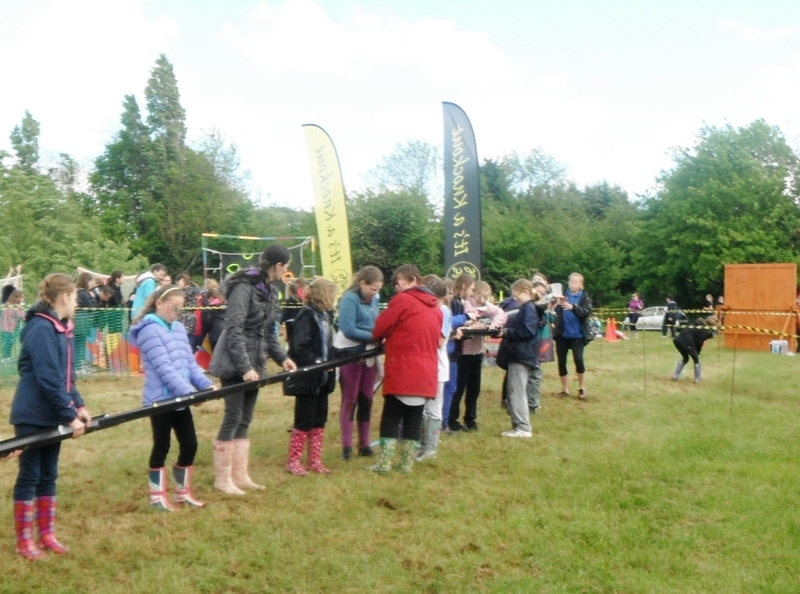 Each team had a colour flag and were led by a Team Leader who encouraged them through. Unfortunately the games were too small for the number of girls at the event. Teams of 10 would be ideal but with 16+ girls in a team not everyone got to join in. One team was always sitting out and some games only required 6-10 players. One of our Guides, along with 2 others in her team, didn’t get to participate at all for the first 55 minutes of the competition. The heavy downpours didn’t improve their moods either! There was a long wait between 4:30 – 6:30pm for the barbeque. We filled the time with another trip to the shop, litter picking and some quiet time under a gazebo. This was a nice time, the girls all had their blankets so I got mine out and they were asking me about my badges. I’m so proud of my blanket this deserves a post of it’s own. I love this song, it might be lost on some of the Guide age group but it had me thinking. I will certainly hang on to this one. As we left the Guides and Jackie thanked me for joining them but I thanked them for letting me come! I had a lovely time and it really improved my knowledge of the older group. I wish I had had this sort of experience as a Guide and hope there are many more days like this to come. We are one of those lucky units to have a Pets at Home store around the corner from our meeting place. I only recently discovered their community group scheme so this was our unit’s first ever visit. Booking the session was so easy, just called the store and spoke to a certain manager and we were given a date. The evening started on a slightly annoying point. We asked the girls to arrive at 6:50pm so we could start the session at 7pm. On our last visit to Hobbycraft we made a point of arriving at the time we had given (we have a lot of early drop offs at the moment) only to find girls and parents clogging the inside of the store. This time we did arrive extra early at 6:30pm, this would give us time to meet the activity leader first and also block any parents from loitering in the doorway. Well, one girl had still managed to beat us! Her brother told us he thought it was a 6:30pm start. We carried on as expected with one girl in tow, discussed the session with the activity leader then headed outside to meet the girls. Then it started raining. The next girl to arrive at 6:35pm had no coat on (the parents were informed we were meeting outside) and it became a case of us having to take all the very early girls into one corner of the shop and wait for 30 minutes. Perhaps next time we will have only one leader arrive early, then parents will need to wait for a second leader to arrive to leave their daughter? Hopefully it won’t be raining so we can meet outside as planned? Who knows. 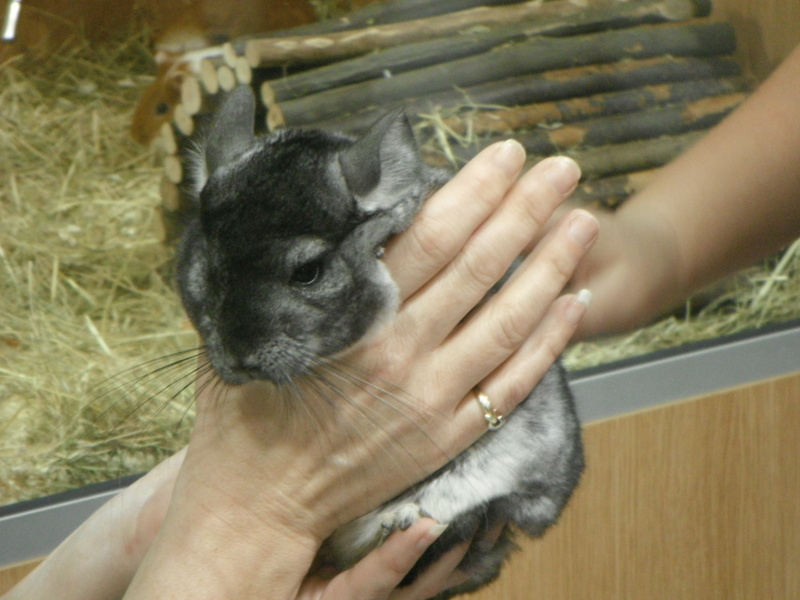 Anyway, the Pets at Home session was a basic meet the animals session. The Brownies sat in an oval and were brought a giant bunny rabbit first. Cue certain girls who started leaning in and grabbing the poor thing toward them. 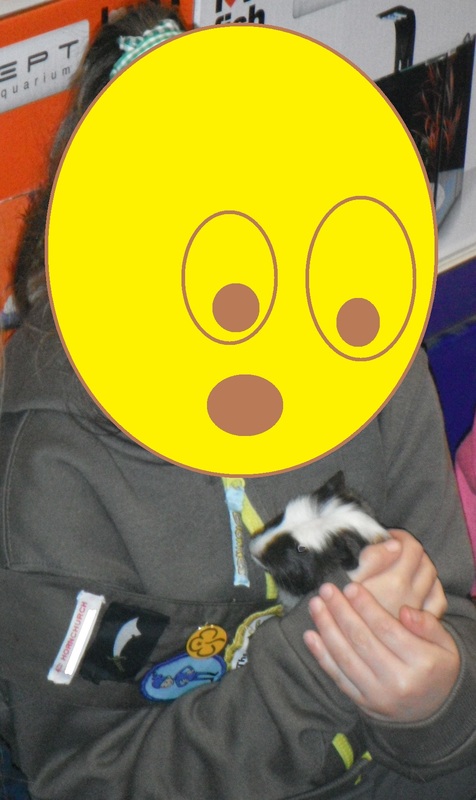 Everyone had a chance to stroke her before meeting the guinea pigs. Those who wanted to held one and passed them around. One got a little scared and took a new home up Smiley Brownie’s trouser leg. Cue easily excited Brownies laughing and screaming and scaring the poor mite even more. Next we headed to the fish tanks and all had a chance to view the different species. Lastly we headed to the hamster cages and had a look at what these little ones were up to. We had a great talk from one lady about the rats, she was great at entertaining the Brownies with her chats to the rat and kept them all under control as she spoke. While the session couldn’t really be counted as part of the Friend to Animals syllabus, it was a very fun, and very stress-free planning-free meeting! Would definitely recommend it!